I know many people are unaware and do not fully understand our idea of fitness. While everyone has a right to their own unique opinions, I would like to clarify our beliefs, the way we go about training, and the way the CrossFit community defines fitness. 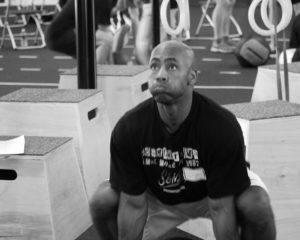 There are 10 skills at the foundation of everything CrossFit is about. One of the pillar ideas of how CrossFit thinks of physical fitness is how competent an individual is at cardiovascular/respiratory endurance, stamina, strength, flexibility, power, speed, coordination, accuracy, agility, and balance. For example, I want to be as powerful as I can without affecting my endurance, and I want to have as much endurance as I can without affecting my strength. Meaning, you are only as fit as you are competent in each of these 10 skills. Together, they define fitness for a CrossFitter. We train in a wide range of modalities.